GERS: a silly season fixture? Fiona Grahame, Editor of the Orkney News, casts her eye over the GERS figures published last week. First published in the Orkney News, Newsnet is pleased to share this with our readers and thanks Fiona for permission to republish her article along with our additional graphics. The GERS figures were published on Wednesday 22nd August and they showed that Scotland’s economy was running a deficit. So what does this mean? Let’s take a closer look. Firstly what needs to be stated is that the Scottish Government is not permitted to run a deficit. No matter which party is in control of the Government of Scotland it is a condition of the devolved settlement that it cannot be in debt – it has to produce a balanced budget. The areas of competence devolved to Scotland- the parts of the economy managed by the Scottish Government – are not in deficit. GERS stands for Government Expenditure & Revenue Scotland. It is an estimate based on a combination of Scottish and UK figures. The Scottish Government is seeking a statistical publication which will deal solely with devolved finances. 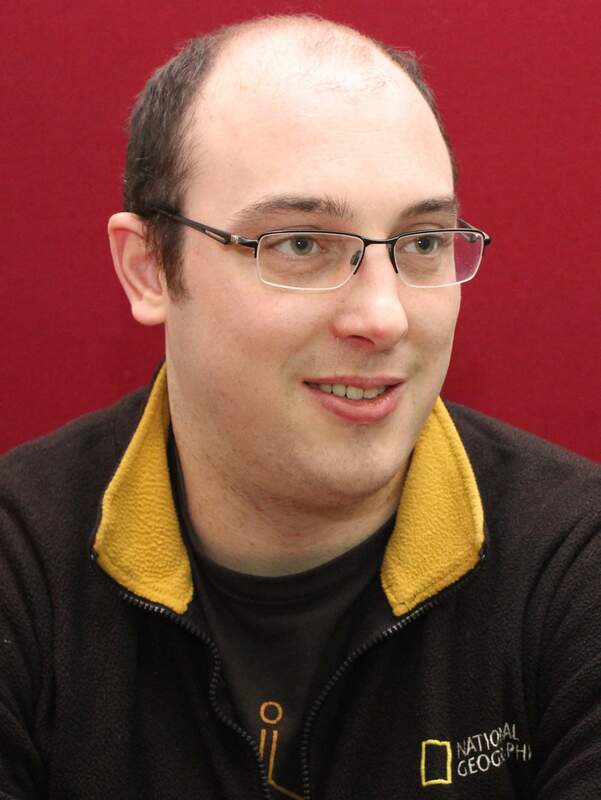 “The Scottish Government is considering introducing a new statistical publication, which would have a wider scope and report on all devolved revenue and expenditures. Unlike GERS, it would focus solely on the finances of the Scottish Government, local government in Scotland, and their associated agencies and bodies. Now that is established let’s look at GERS which represents an economy controlled by the UK Government. Scotland’s public sector revenue is equivalent to £11,052 per person, £306 less than the UK average. Excluding North Sea revenue, it is £10,808 per person, £533 less than the UK average. Total public expenditure is £13,530 per person, which is £1,576 per person greater than the UK average. This means spending is more than is coming in – remember the figures are for an economy run by the UK Government – the Scottish Government cannot run a deficit. The UK Government’s Secretary of State for Scotland, David Mundell said: “These Scottish Government figures show that at more than £13 billion, Scotland’s deficit at 7.9% as a share of GDP is four times that of the UK’s 1.9% as a whole. This is concerning. 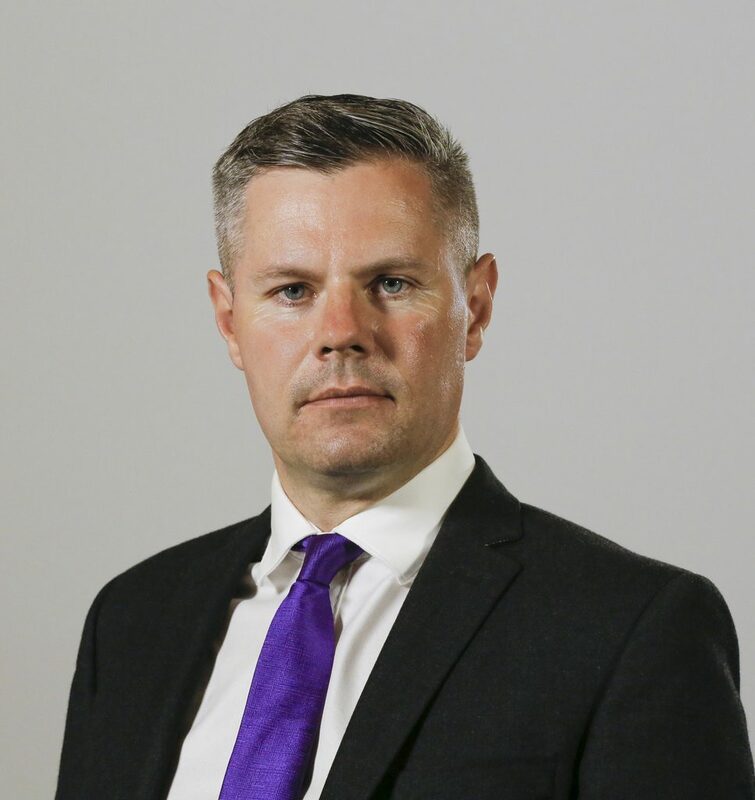 Commenting on the GERS figures, Derek Mackay, Finance Secretary in the Scottish Government said: “The latest economic data points to an improving picture in Scotland. Our economy grew twice as fast as the UK in the most recent quarter, while unemployment remains close to its record low and confidence is returning to the oil and gas sector. billion for the first time ever, underlining the fact that we have a productive and growing economy, despite the UK Government’s London centric economic policies. “Meanwhile, Scottish exports of goods have increased by 12% over the past year – the fastest rate of growth of any nation in the UK – with huge potential for further expansion in key overseas markets. Are we really poor and incapable? This is all confusing especially when commentators (including David Mundell) keep telling us that Scotland is in deficit. Is Scotland really poor? Are we incapable of being successful? What figures do we have? Scotland has a population of 5.295million. That is a good figure to remember when we look at the money our successful industries are generating. 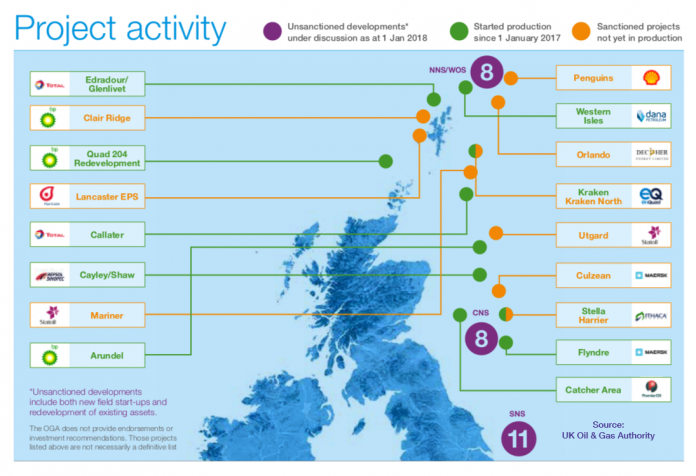 Now whilst it would be very foolish for any nation to build its economy on the revenues of one industry you can see from the oil and gas field developments located in Scottish waters in the headline graphic that Scotland is an energy rich nation. 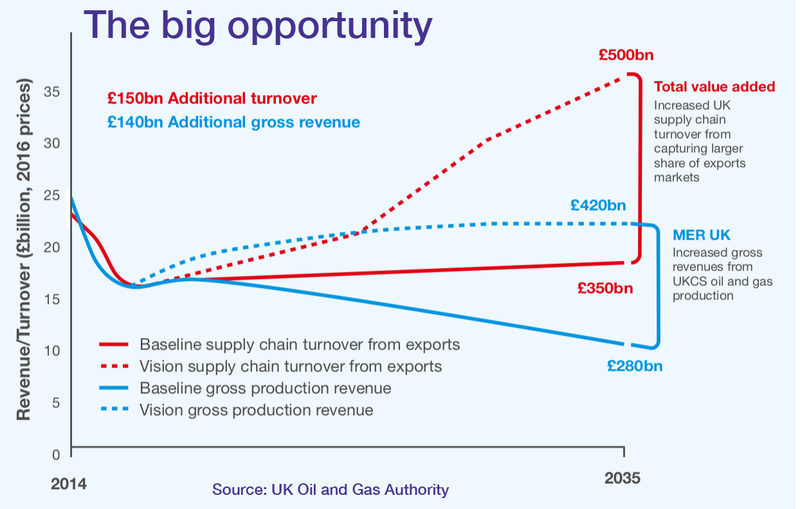 Putting oil revenues aside what else does a country of just over 5 million people produce. Food and Drink is Scotland’s largest manufacturing sector employing 45,000 people. It is worth £3.8billion to the Scottish economy and in 2017 its exports increased by 11% to £6billion. 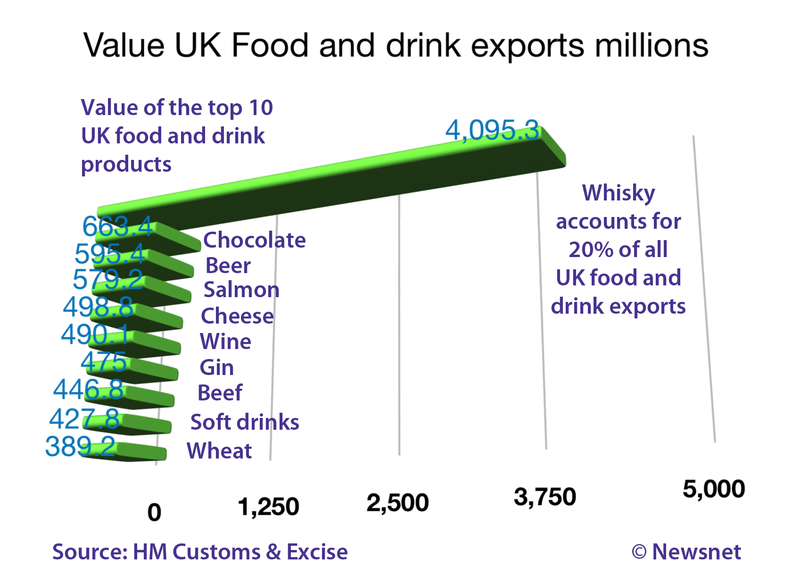 Scotch whisky alone accounts for 20% of all the Food and Drink Exports for the UK – not Scotland – for the UK. It is massive. In 2017 it amounted to £139 per second. Fishing – in 2017 the total value of fish landed by Scottish registered vessels was £559 million. Scotland attracts visitors from around the world. So successful is our tourism industry that some commentators have even coined the term ‘over tourism’ to put a negative spin on a growth sector of our economy. In 2017 it saw a 17% growth in spend and generated £11.2billion. It was a record year for international tourism with 3.2 million people from across the world choosing Scotland as a holiday destination equalling £2.3billion with 59% of them coming from our fellow European countries. Although Scotland now has some limited tax raising powers the majority of the money available to deliver services in Scotland is from the block grant allocated to it by the UK Government. In real terms this block grant has been cut by 9% over the last 10 years by £2.6billion. Currently VAT in Scotland contributes £10 billion to the UK Government. “The Scotland Act 2016 allows for receipts from the first 10p of the standard rate of VAT and the first 2.5p of the reduced rate of VAT in Scotland to be assigned to the Scottish Government. 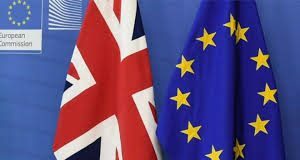 With threats of a Power Grab by the UK Government once the UK leaves the EU will Scotland have even less control over how it steers its economy than it does now? 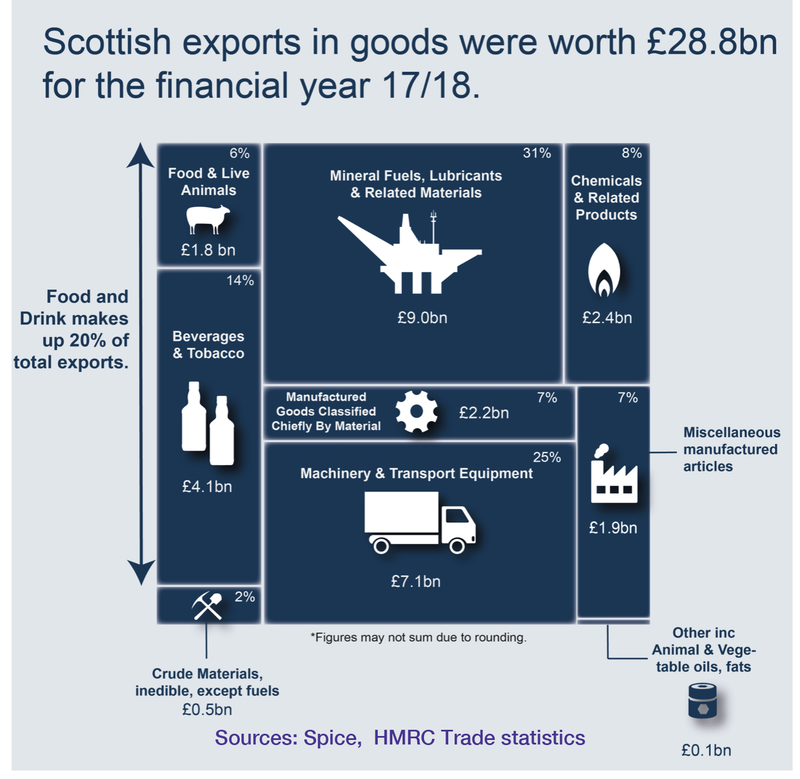 The EU is the largest single export market for Scotland’s products. 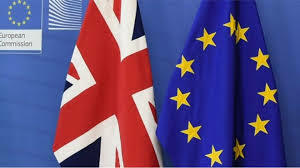 When the UK leaves the EU on March 29th 2019, now only a matter of months away, if we are also out of the single market this will have a huge impact on Scotland’s economy. Scotland’s exports to the EU were worth £12.7billion in 2016 – that’s a lot of jobs being put at risk. Scotland voted overwhelmingly to remain in the EU. The politically savvy voters of Scotland realised that for our economy to continue to grow the choice to remain in was in our best interests. If the GERS figures show us anything it is that control over Scotland’s economy by the UK Government is not working to our advantage. Scotland is a successful exporting country, punching way above its weight with a highly skilled and educated population. Tinkering about with some areas of taxation will not build a strong Scottish economy. Only with full control over our own decisions will that be achieved – building an economy that suits the distinct needs of a resource rich nation. 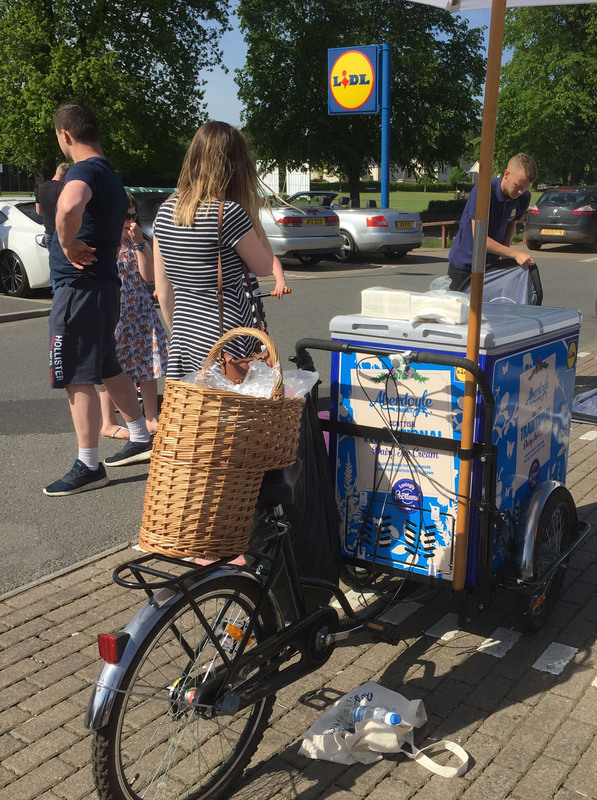 Scotland’s food and drink industry is going from strength to strength. Who is the basket case and where are the broad shoulders in this Union?